Lead artist Robin Corbo outlined swimmers, picnickers, dancers, and dogs during the summer of 2009. With the help of 13 high-school-aged assistants, he painted the large and colorful mural on Northeast 7th Avenue. 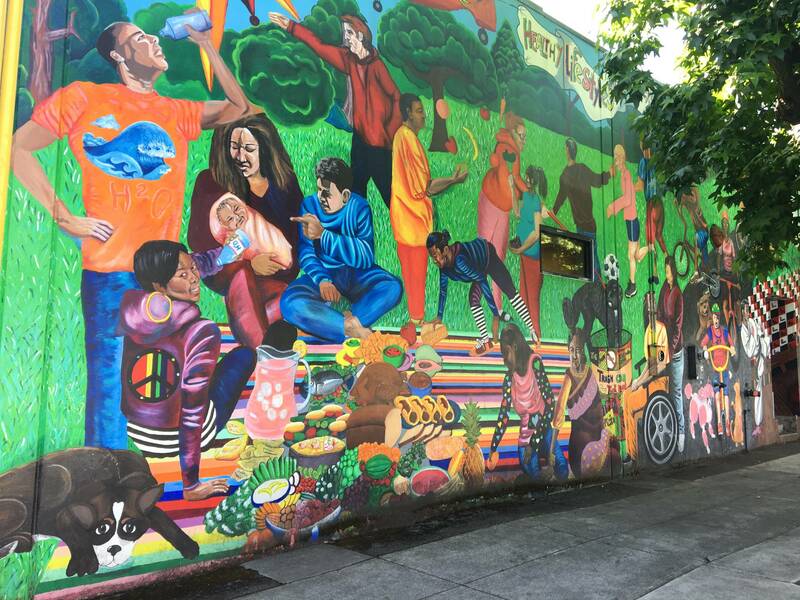 The mural was funded by the Multicultural Integrated Kidney Education (MIKE) Program and the mural depicts a community leading healthy lifestyles, a key to avoiding kidney disease.